Park City's High West Distillery is noteworthy enough for being the first legal distillery to open in Utah since the 1870s. 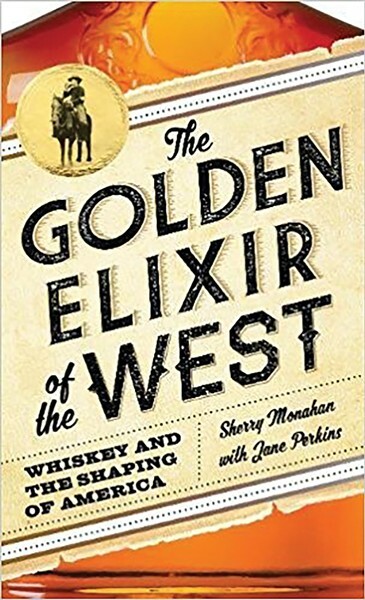 To coincide with their first decade in business, co-founder Jane Perkins releases a new book—The Golden Elixir of the West—co-written with Sherry Monahan, about the role of whiskey on the American frontier. Perkins reads from and discusses the book at an Art Talk event at St. Regis' Deer Crest Club (2300 Deer Valley Drive, Park City, 435-940-5810) in conjunction with Kimball Art Center, on Wednesday, July 19, from 6-7:30 p.m. Visit kimballartcenter.org to RSVP for a fascinating history lesson. Many of Utah's most talented taco purveyors are gathering for one day, all to support a worthy cause. Tacofest 2017, scheduled for Aug. 5, from 10 a.m.-10 p.m. at the Mexican Civic Center (155 S. 600 West) serves as a benefit for Meals on Wheels, according to festival founder/organizer Marcelo Bayon. "I heard that Meals on Wheels funding might be impacted," Bayon says via email, "and growing up, I recall my friends mentioning how much Meals on Wheels helped their families. So I decided to bring people together with tacos to raise money." The $5 admission cost goes toward the program, and includes entertainment like live music, comedy and children's activities. Food from 15-20 taco trucks and other local vendors—participants were not set at press time, according to Bayon—are a separate cost, but guests can also be part of the inaugural Best Taco Awards. Visit bit.ly/slctacofest for more information. Just in time for "Pie and Beer Day," you can learn how to make one of those flaky, fruity desserts that might seem intimidating if you're inexperienced. Alta Community Enrichment offers a two-hour pie-making class July 18, 5:30 p.m. at Black Bear Chalet (9920 E. Peruvian Acre Road, Alta, 801-608-9370), and admission is free. See more details at altaarts.org.